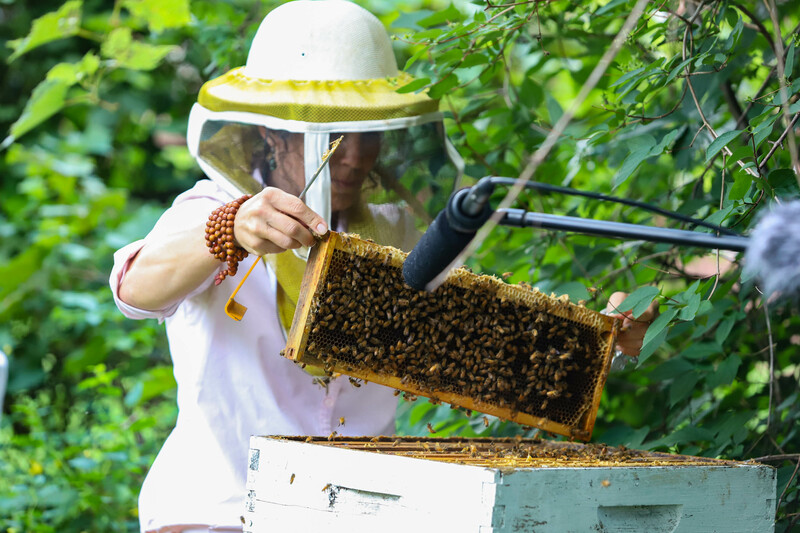 When we have a relationship with animals, we often tell them stories, sing songs to them, tell them about our days — so it should be no surprise that a beekeeper might talk to her bees. 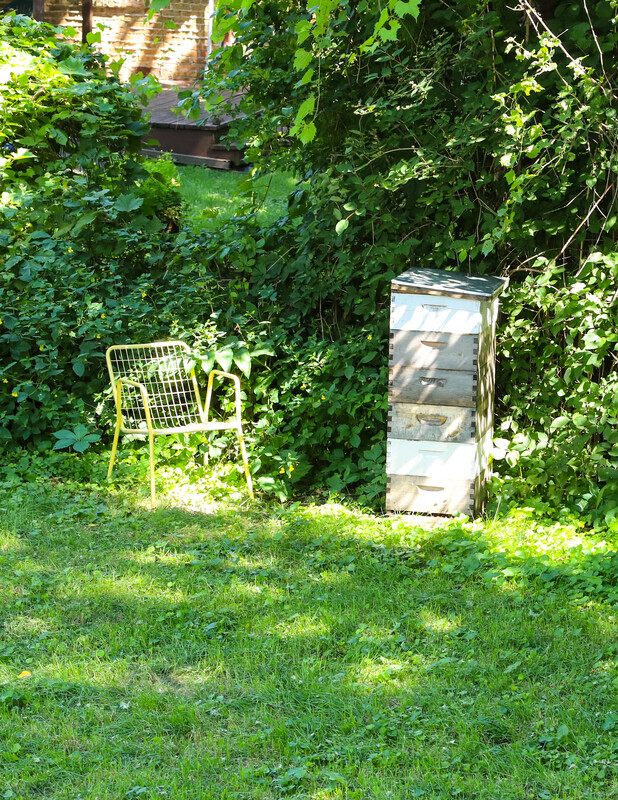 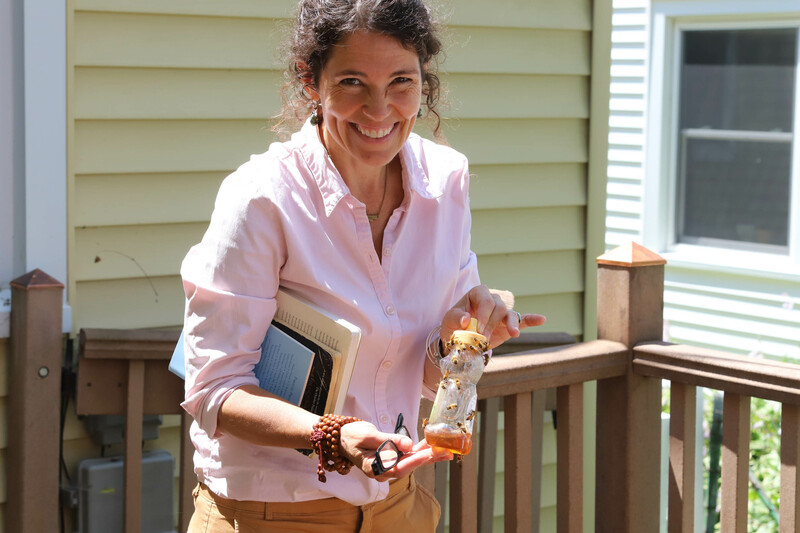 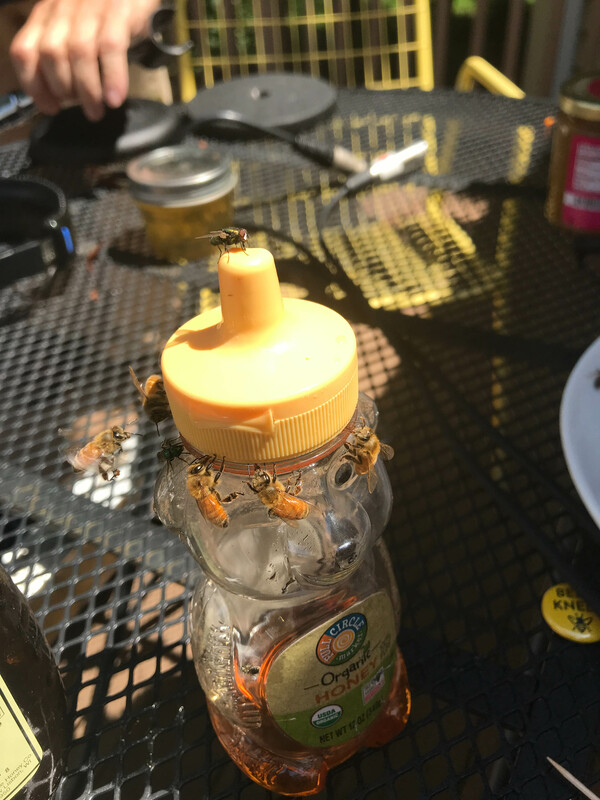 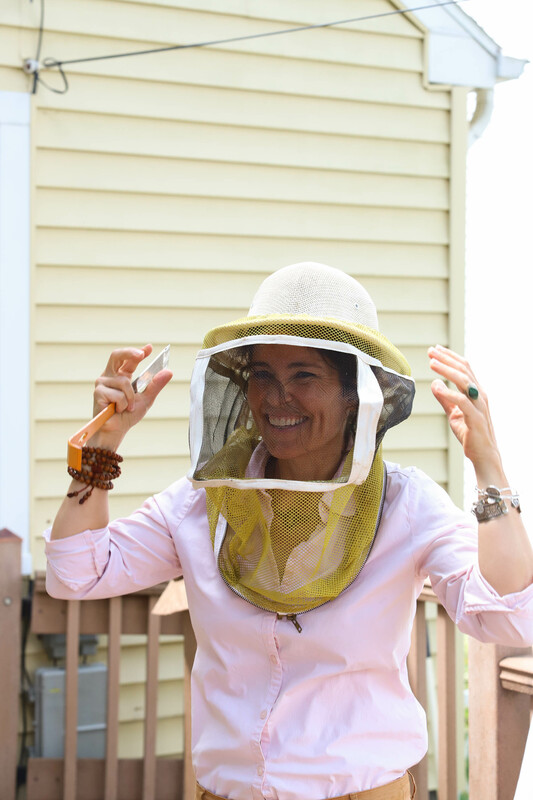 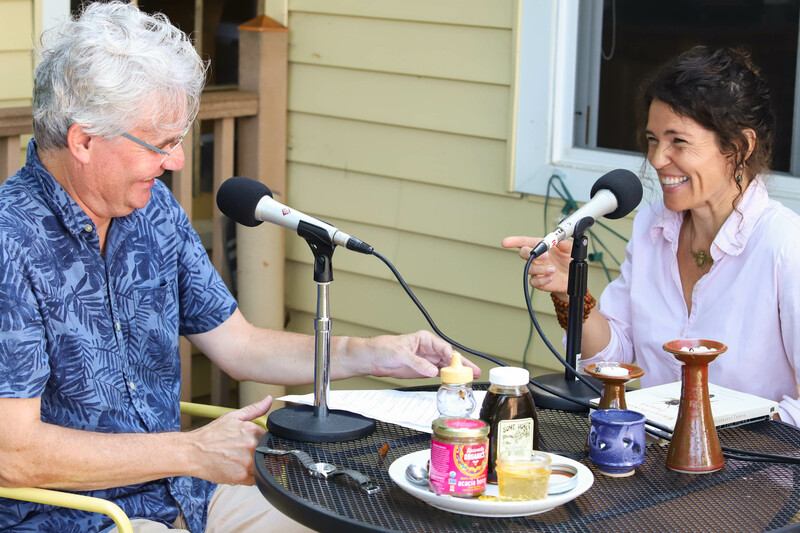 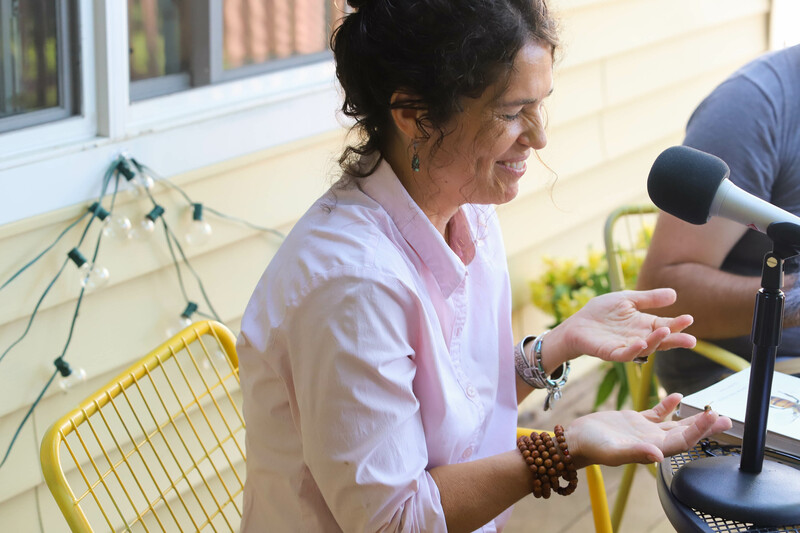 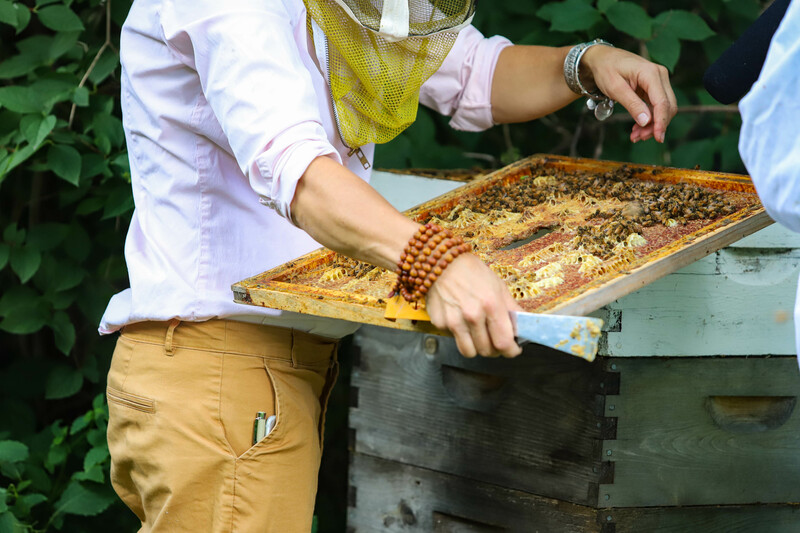 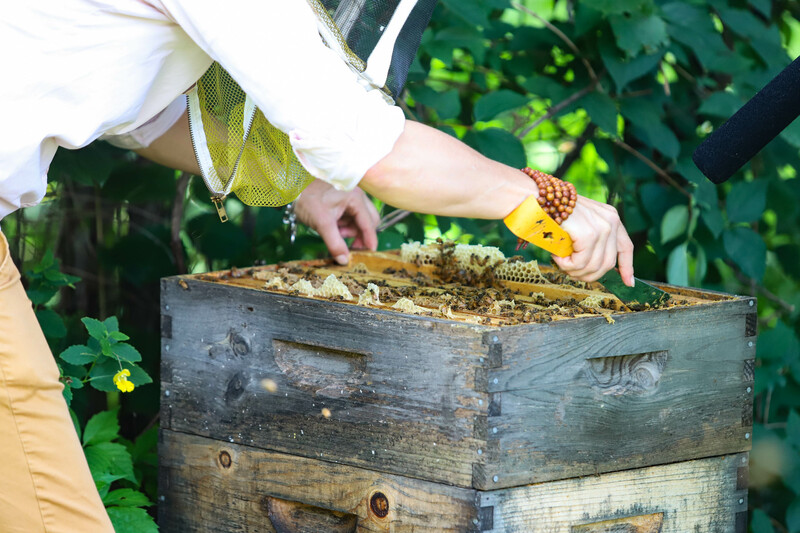 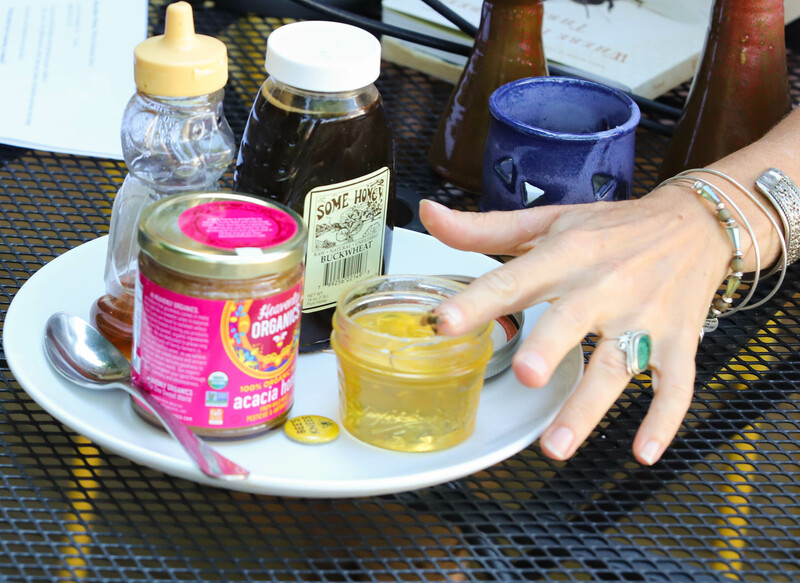 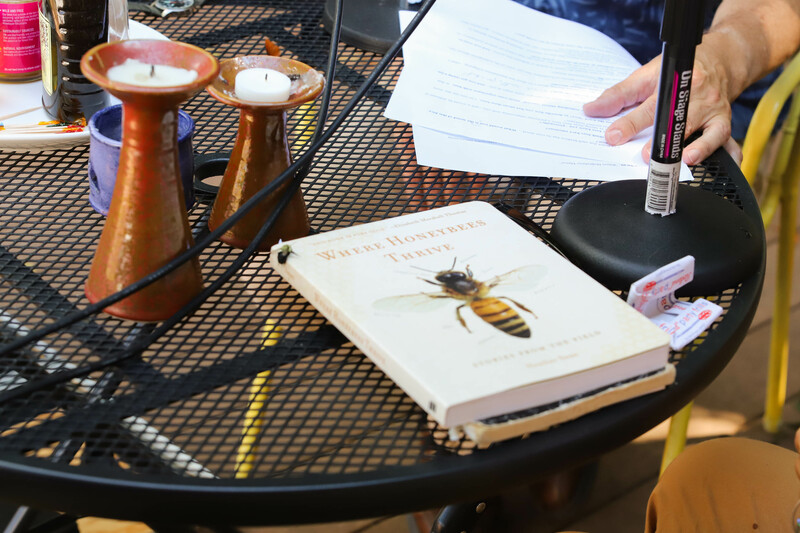 Heather Swan is a beekeeper and author in Madison, Wisconsin who has a special chair next to her backyard hive just for this purpose: telling the buzzing collective about what's happening in her life, including when a radio crew will be coming over to see the hive. 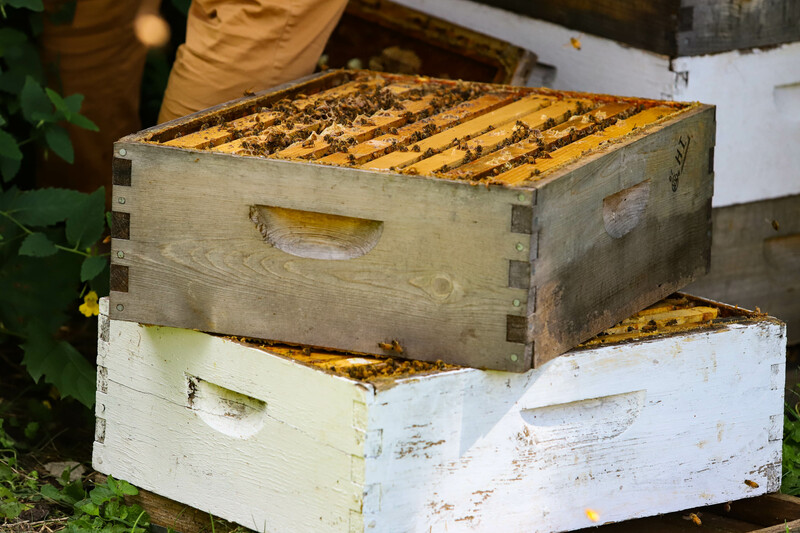 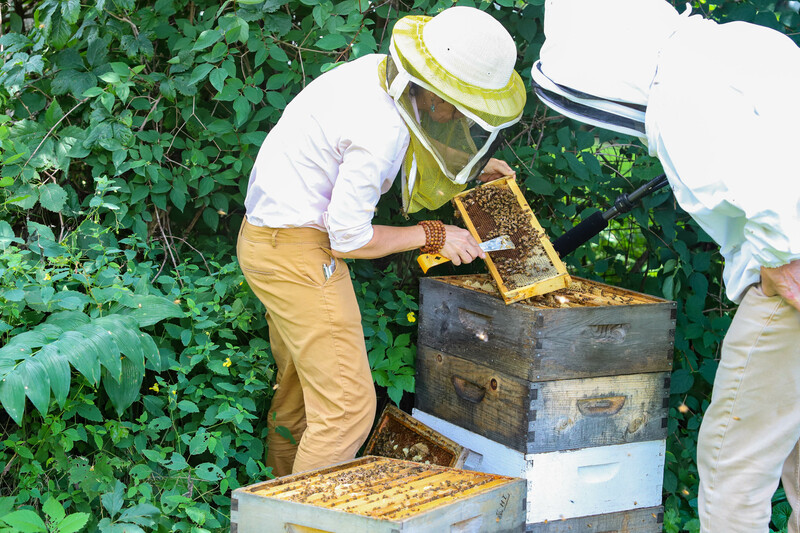 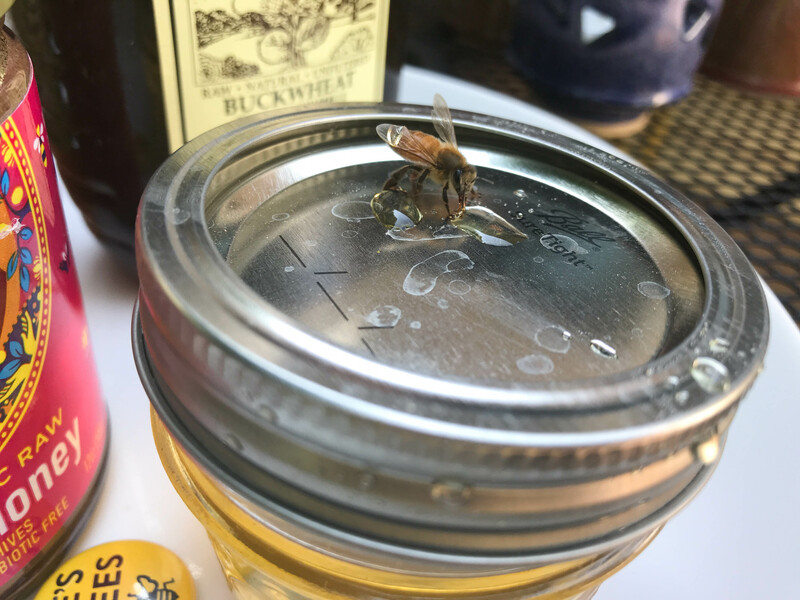 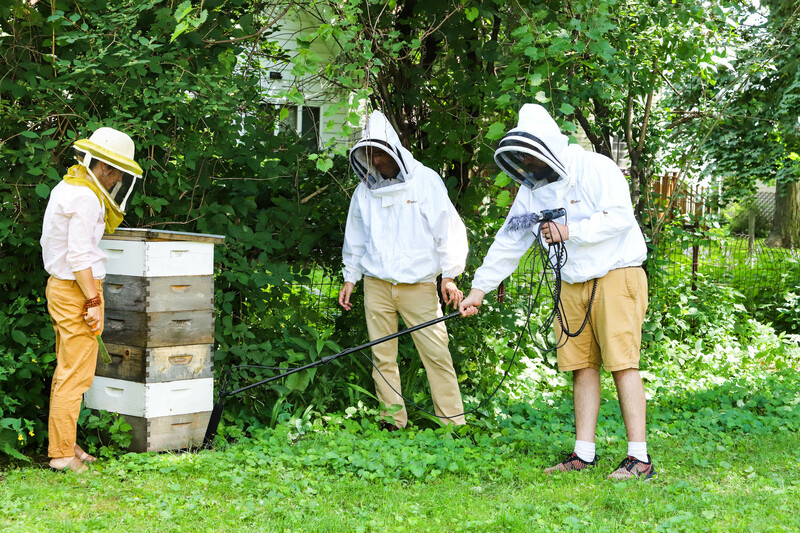 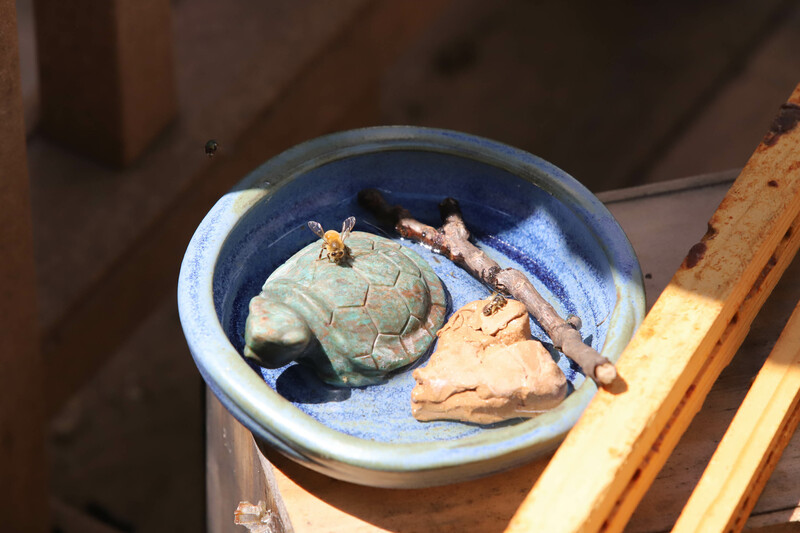 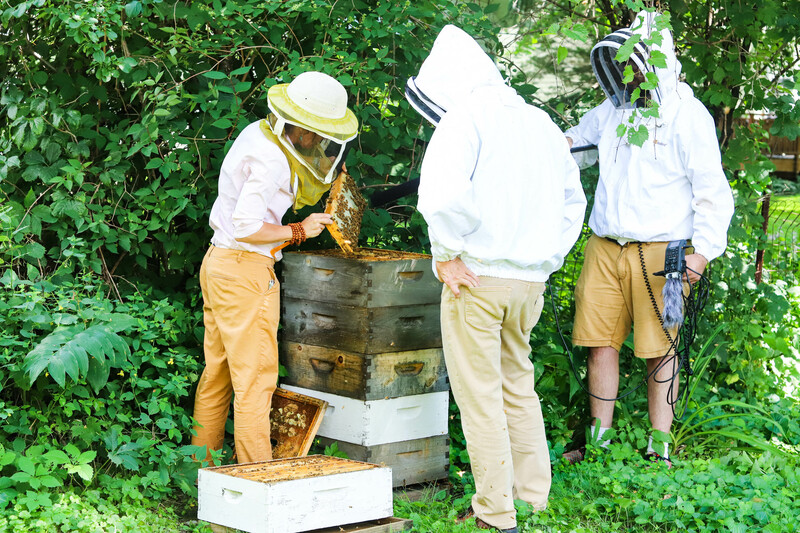 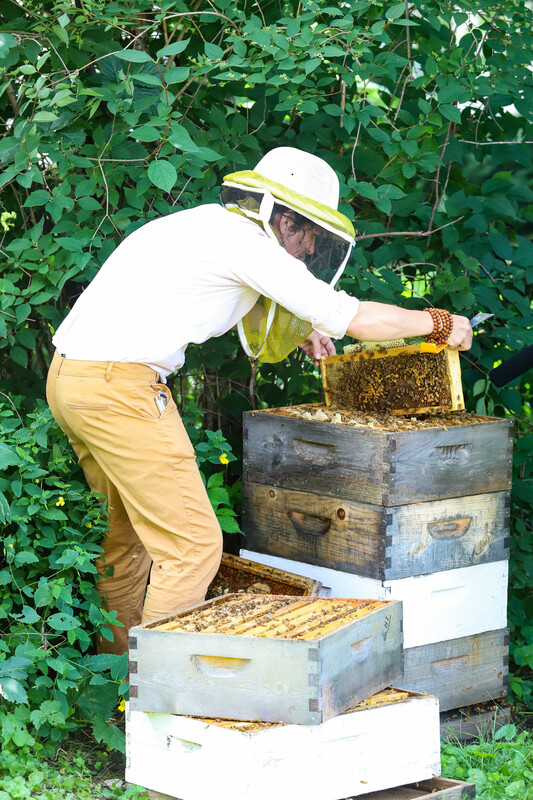 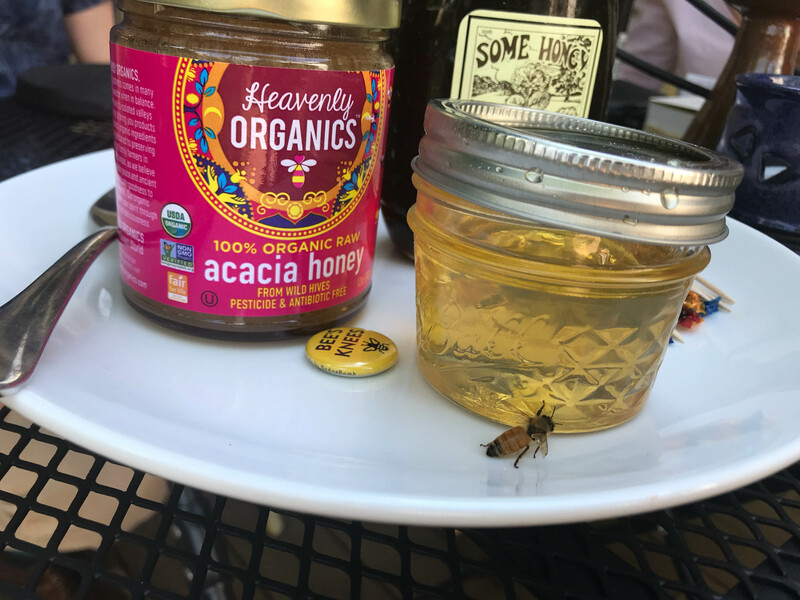 As Swan spoke to Steve Paulson about how she became so enthralled with bees, the bees themselves joined in the conversation, traveling across the yard from their hives and swirling around the action. 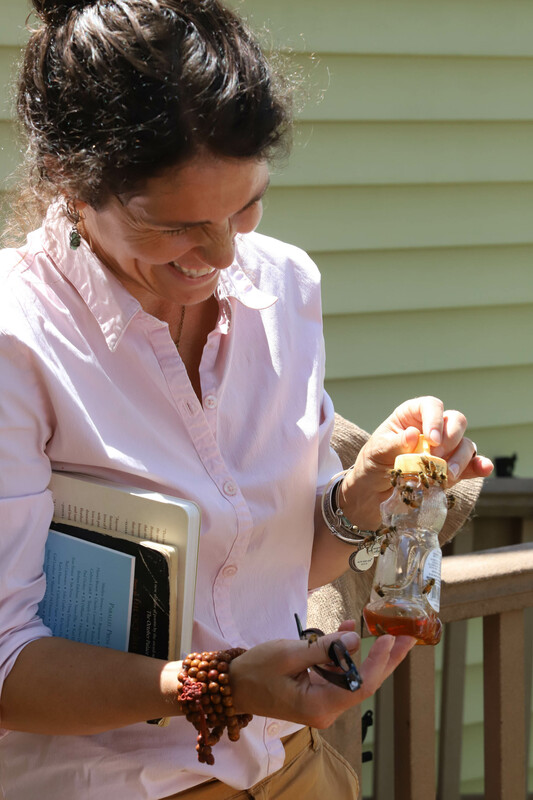 Her dog, too, would occasionally snap at the insects in the air. 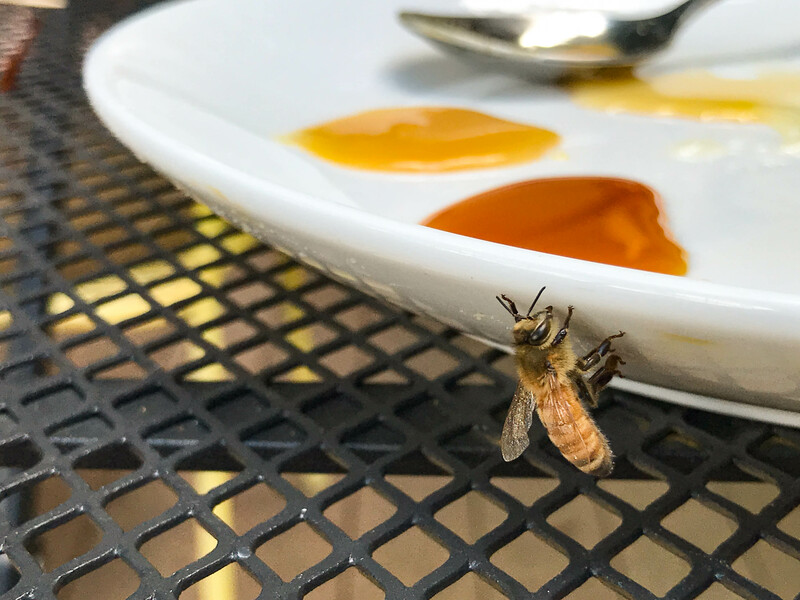 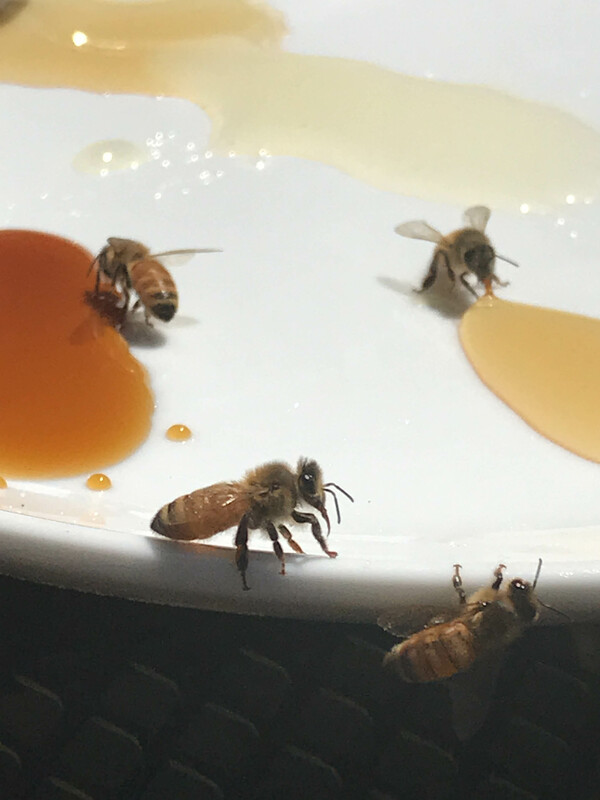 Swan explains how everything in the bees' environment — the pesticides used on lawns, the flowers planted at the local school, what every neighbor does in the yard — filters down into the small details that you can even taste in the bees' honey. 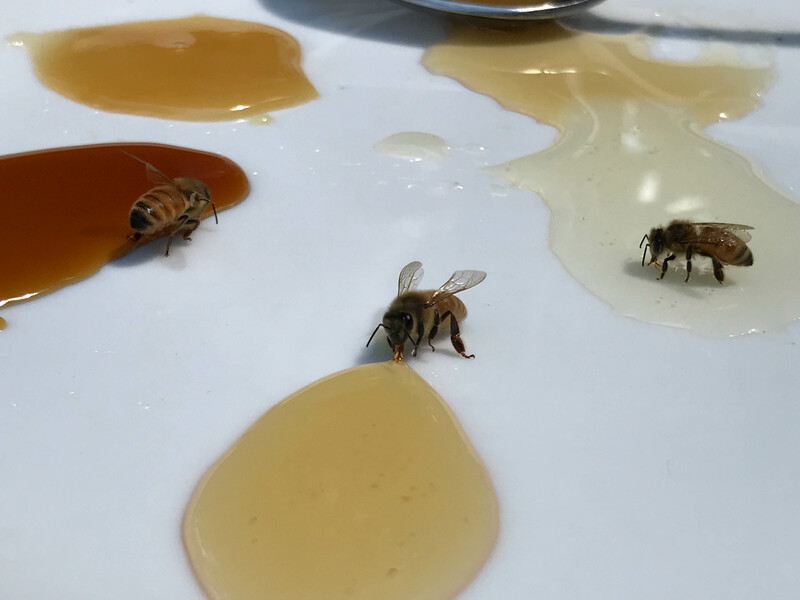 She even set up a taste test to prove it.